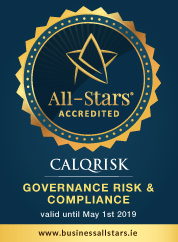 When Bishopstown Credit Union (BCU) first engaged with CalQRisk they were using a compliance management software that did not satisfy their risk management requirements. At that time much of their risk assessment, task tracking and risk monitoring was paper-based and extracting the data and trends needed to support BCU’s management reporting could not be done using real-time information. BCU were also using an Excel-based Risk Register which became static very quickly, and which they only maintained in order to satisfy the regulator rather than adding any value to their business. BCU wanted to source a system that would integrate Governance, Risk & Compliance management across their business instead of relying on a software that focused only on compliance. Automated Risk Register creation, Compliance Monitoring and Task Tracking were some of the key requirements they wanted from their new solution. Following market analysis, Bishopstown Credit Union made the decision to licence CalQRisk and to implement it across the organisation, thus enabling the automation of their manual GRC processes. Today, BCU continues to experience increased operational efficiencies thanks to the automation and integration that CalQRisk enables. 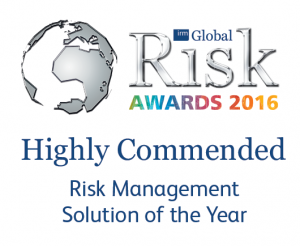 They make significant time savings on a daily basis while managing, reporting and communicating their risk and compliance position using CalQRisk and utilising the instant access to that information that CalQRisk allows.